Pink Green Chick: New Today: Holiday Limited Editions! New Today: Holiday Limited Editions! It looks like the pre-holiday festivities are in full swing. And by that I mean that the holiday shopping season has kicked in and brands are dropping limited edition products like crazy. I don't know about you, but I'm having a really hard time keeping my money in my wallet. 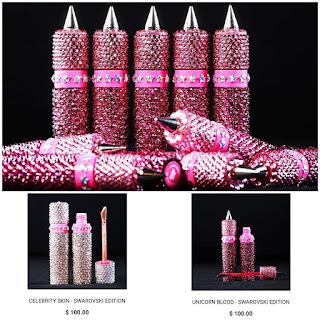 First up is Jeffree Star Cosmetics blinged out limited edition Swarovski-encrusted liquid matte lipsticks in Unicorn Blood and Celebrity Skin, two of their best selling colors. 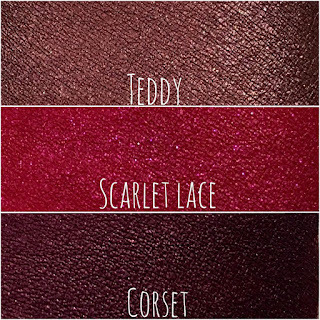 They each sell for $100 and come with a love note from Jeffree. I'm really struggling here because they're beyond gorgeous and well-worth the money since they are bedazzled by hand by West Coast Crystals. And you know I love that they're vegan and paraben-free. Sadly, I don't know if my wallet is ready to be ravaged like that. I remain on the fence. But if anyone is unsure of what to get me for Christmas, look no further. We wants it! Dose of Color's Dare to Dazzle Trio which released this afternoon. 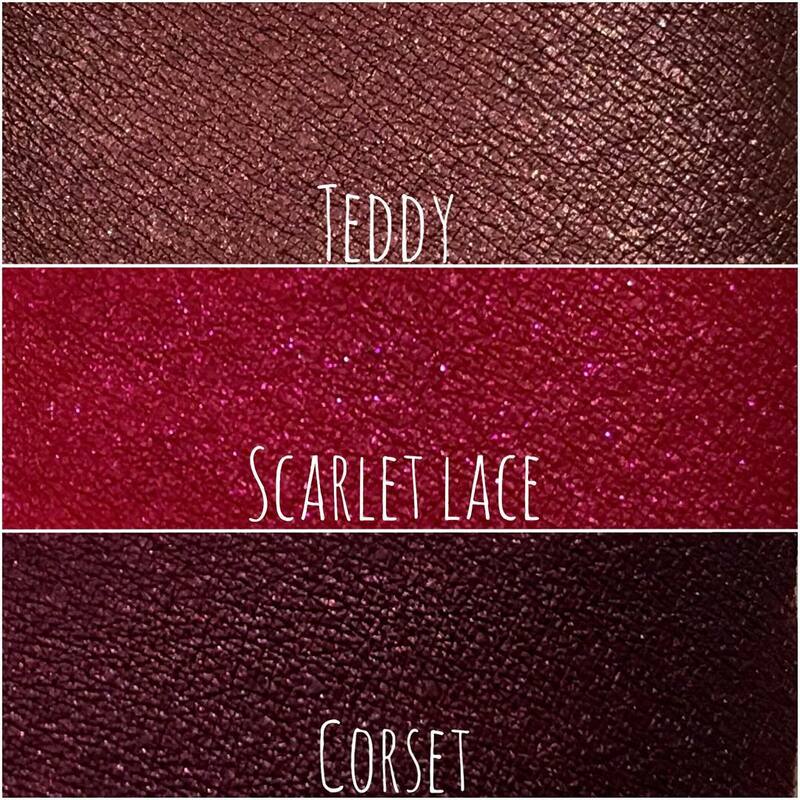 This set includes three beautiful metallic liquid matte lipsticks in holiday hues, Teddy, Scarlet Lace and Corset for $58. All three are vegan, paraben-free, cruelty-free and gluten-free. These colors are not sold individually, but as a set only. I could not resist them from the moment I laid eyes on them because I've yet to see really pretty metallic liquid lipstick and I'm confident Dose of Color nailed it. 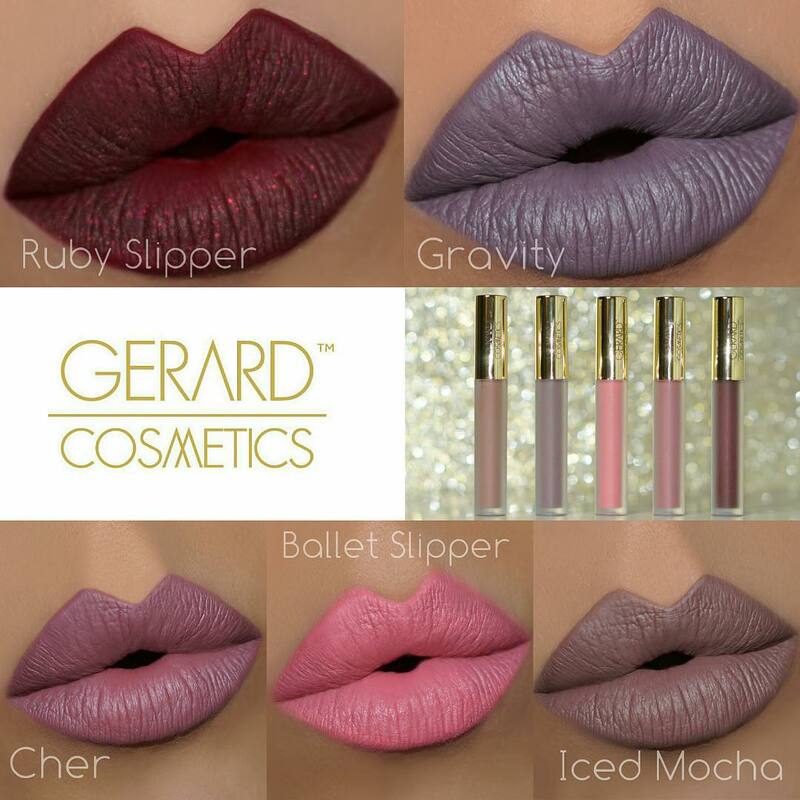 Rounding out today's new beauty is Gerard Cosmetics FIVE new cruelty-free Hydramatte shades! Ruby Slipper, Gravity, Cher, Ballet Slipper and Iced Mocha ($20 each) were released today to the delight of my eyes and the despair of my bank account. I'm really going to have to pace myself but the good news here is I have not heard that these babies are limited edition so I don't have that sense of fear of them running out forever. Whew! Oh- and better still? A coupon code (see you get rewarded for sticking around till the end). TRENDMOOD gets you 40% off your order. Happy shopping!